We never get tired of leaning random new facts. Wise people say that we must continue to learn out whole lives, and we agree with that. The more knowledge you gather, the better your life will be. Even if you think that all the information you gather while browsing the internet is more or less useless, you will never know when you will need it. Even if a certain image or video holds little information about a certain fact, it might at least give you a different perspective on things. 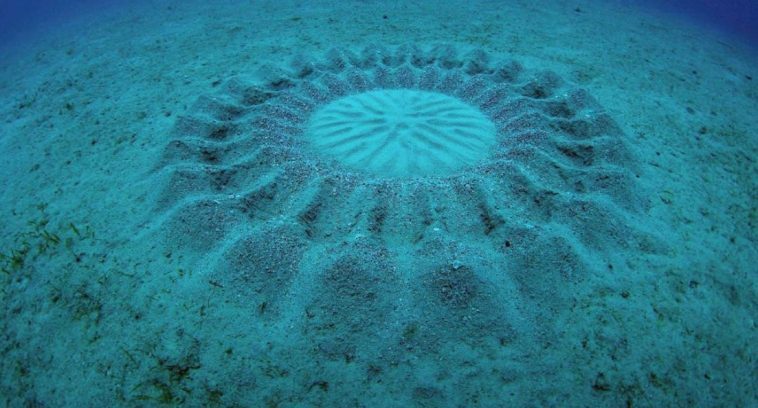 Take the creations of the pufferfish on the ocean floor, for example. Having a different perspective is also valuable, so when you have the chance to see stuff like that, take it! The following list will offer you exactly that. Some street artists are geniuses and they create amazing things! Unlike the random graffiti scribbles which can be really annoying, some people create works of art in the middle of nowhere! This is a nice example for that. 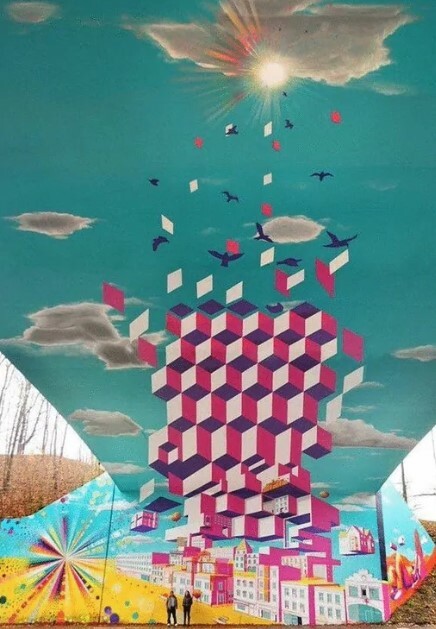 As you can see, this complex painting is an amazing work of art, but what’s more interesting is that it was painted on the underside of a bridge! Insects come in all shapes and sizes, and some of them are really beautiful! Nature has proven its skills to create stunning examples of the flora and fauna. However, some of them can deceive you! Take this, for example. If you happen to see it, you might think that it was a ladybug without its emblematic spots. However, it is a completely different species. 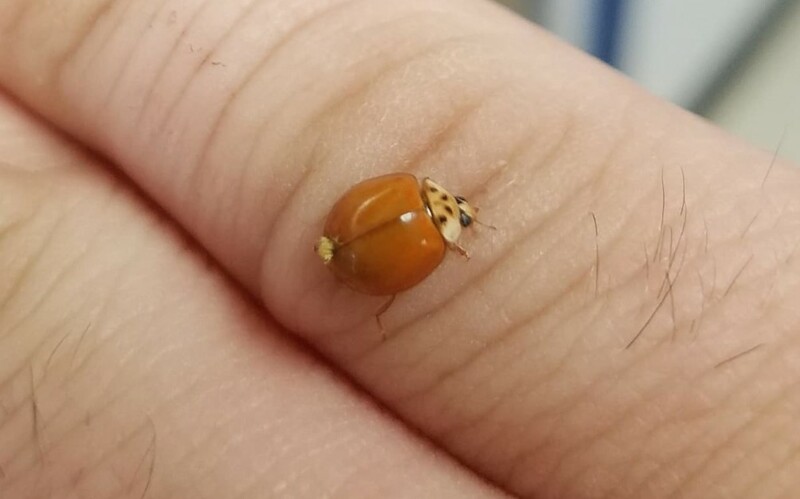 What you see here is an Asian Lady Beetle. What looks like total devastation here is actually a controlled process. 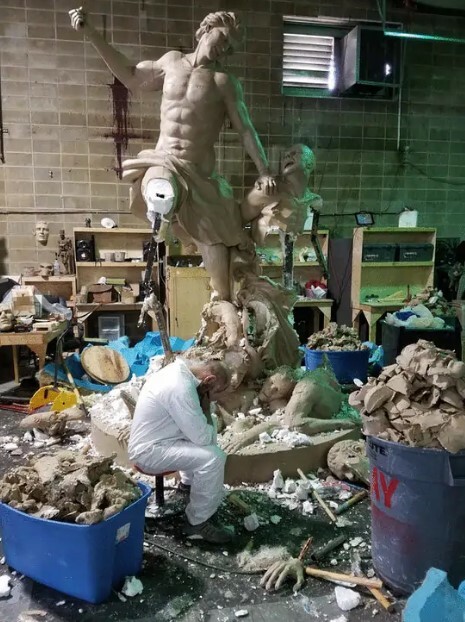 This stunning statue took a really long time to create, and now the sculptor destroys it. 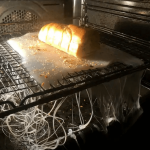 The catch is that a precise silicone mold was made before that. This is actually a method that most sculptors use. They do it because they can use materials that are easier to work with. Only the final version will be made of real stone. The amazing photo you see here gives us an idea about how the internal part of a contrabass looks like! The stunning details really make it look like a piece of art. We guess that it is close to that! 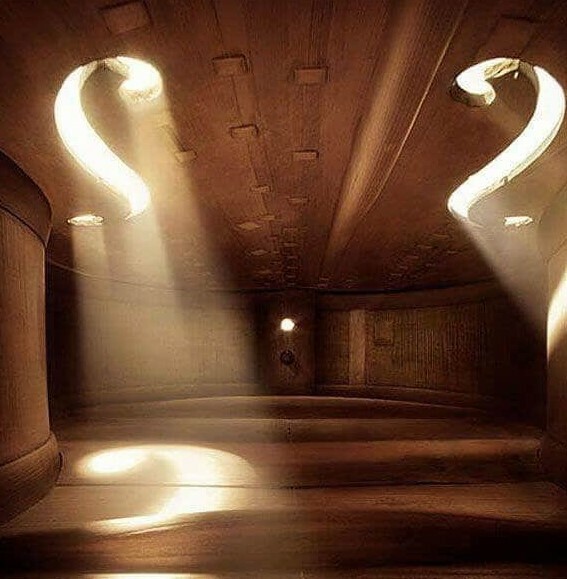 We have seen the inner side of a violin before, and it is equally beautiful. Cashews are different from the traditional kind of nuts. In fact, they are not nuts at all! 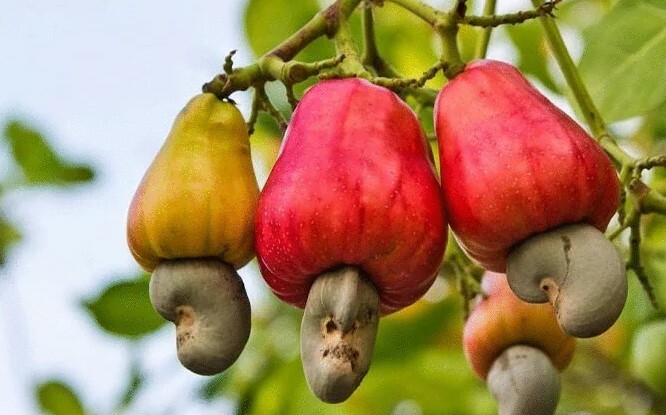 They are actually the seeds of a curious looking plant named cashew apple. The fruit itself is edible and it can be used for different kinds of jams or alcohol. However, the consistency of the fruit is very delicate, and the juice can severely stain any surface. If you see a plaque on a bench in the park, the most probable reason is that it was put there in someone’s memory. People donate the benches or fund them in honor of a deceased relative or friend. The plaque features the person’s name, but not in all cases. 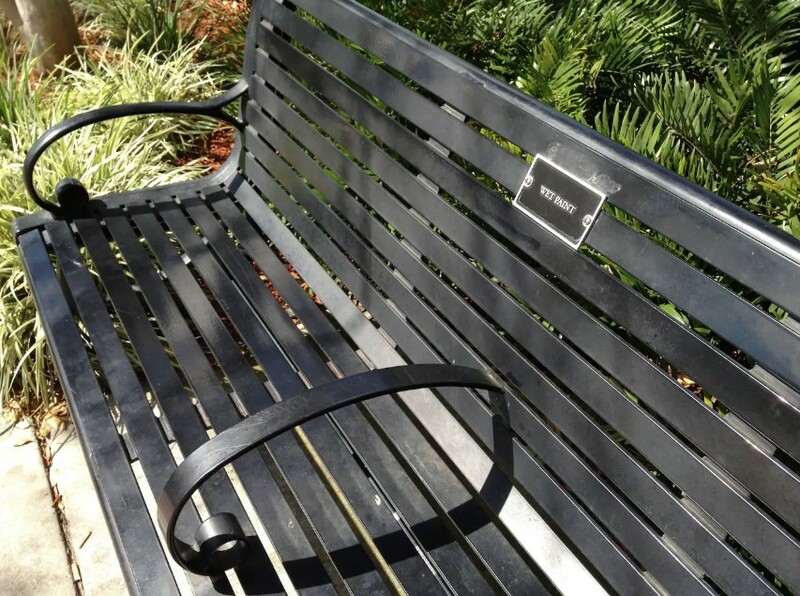 As you can see, this particular bench was probably donated by someone with a great sense of humor! Social media is full of information, and even if you were convinced about a certain thing until now, chances are that you could be wrong. The case with these ramps is a similar one. At first we thought that they were built for wheelchairs or baby strollers, but their purpose was different! 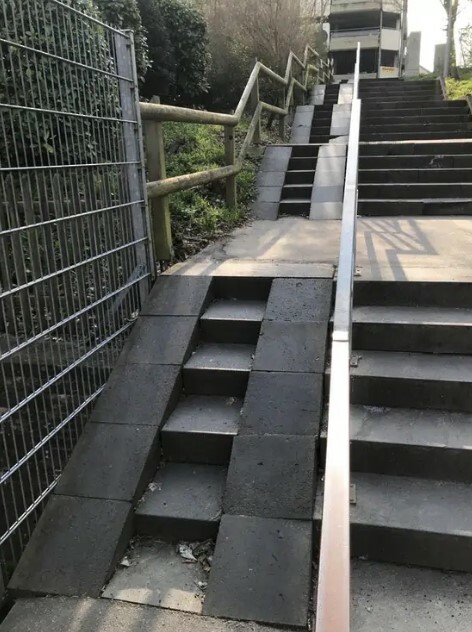 They were actually built to assist cyclists push their bikes up the steep stairs. Unfortunately, the curious structure you see here does not exist anymore. 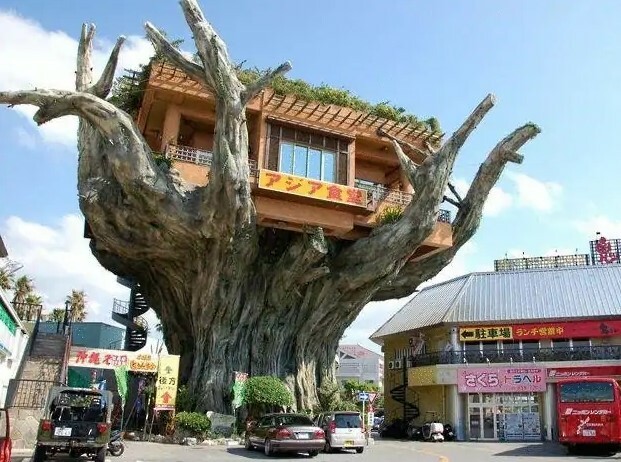 It was located in Okinawa, Japan, and was probably the only tree house diner in the world. Unfortunately they closed it in 2015 and later the whole structure was demolished. We hope that someone decides to build something similar one day so we can visit it! People create all kinds of bizarre art installations. We guess that most of them are cool in their own kind of way. The one you see here is probably among the coolest! 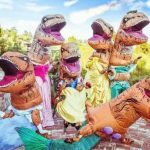 It was created three years ago for the Paseo Arts Festival in Oklahoma. After the festival was over, they decided to leave it as it is. 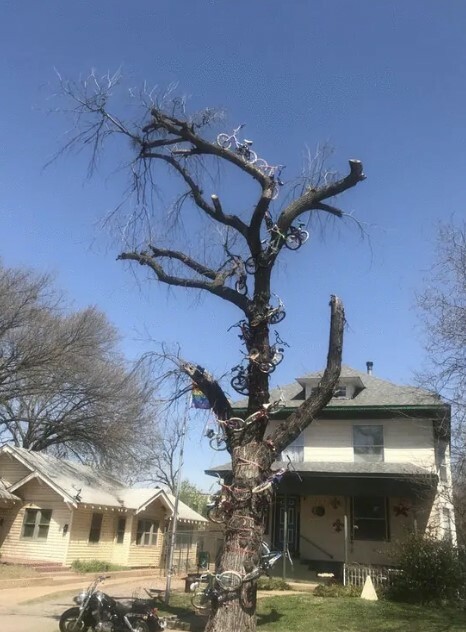 It looks amazing and the bikes are even lit up at night. This is probably one of the best construction ideas ever! When there is a construction or a renovation of a structure, there is always a ton of rubbish scattered around. 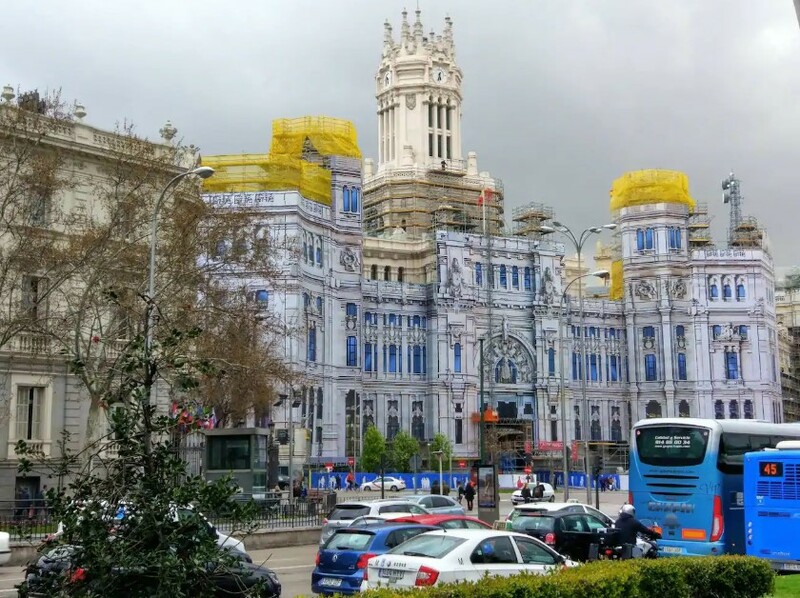 The worst part is that the scaffoldings that are supposed to help with that look very ugly. Someone obviously thought about that and you can see the end result! They say that sometimes the best ideas are also the simplest! We could not agree more with that, and we love the whole setup! It almost looks like nothing is going on, which was the goal, of course. People buy certain brands of clothes for a number of different reasons. Some do it for the prestige, others value the quality. We consider one different aspect and that is the brand positioning. If the marketers of a certain company are doing a good job with the interaction between them and the customer, then we automatically like the brand! This example perfectly describes what we mean! 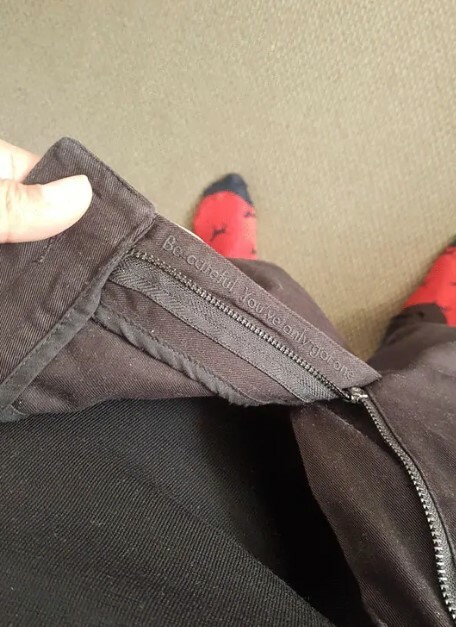 The witty lettering on this pair of pants is all we need to fall in love with the brand. 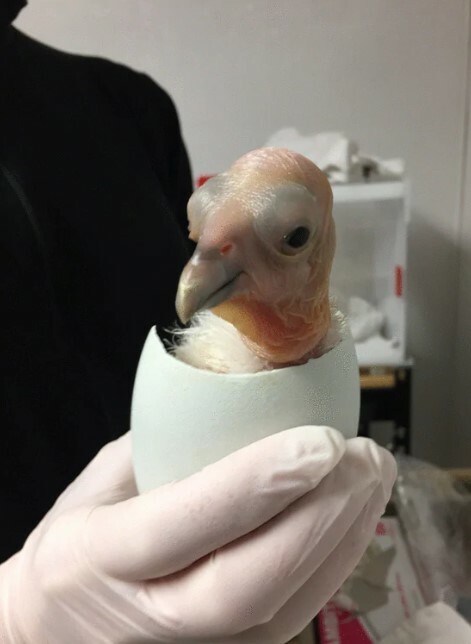 This cute little bird was born in the Oregon Zoo, but do not let the size fool you. When it grows up, it will become a giant, with nine feet of wingspan! It is actually among the largest bird species in North America. The other curious thing about it is that the species is almost completely extinct. Only 22 birds are known to be in existence, and people are trying to preserve the species for the past couple of decades. Well, we need to admit that it took us a while to figure out what this thing was. 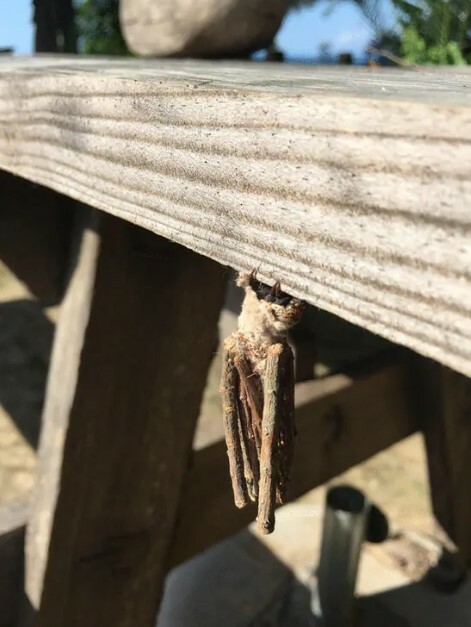 After some quick research, we found out that it was most likely a bagworm moth cocoon. They are different from the rest, because their cocoons appear to be made out of sticks, but they only look that way. These cocoons are also known as ‘log houses’, which is the most appropriate name, we guess. You would probably guess that this photo was taken by a Nat Geo professional photographer somewhere in the wild. However, it is actually a photo of an ordinary wasp taken with a phone camera. 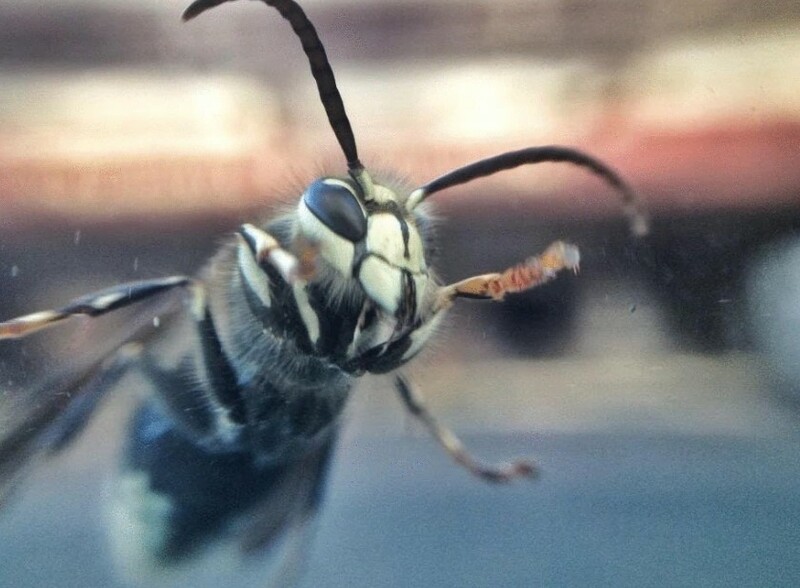 Someone took the photo through the windshield of their car using a macro lens attachment. It looks like this was the detail that made all the difference. We need to source one of these devices! We think that we just saw the school building of our dreams! This is the South Lake campus of The British School of Guangzhou. As you can see, there is something really weird about it. The explanation is rather unexpected! It turned out that it was build next to an abandoned amusement park, and you can see the old rollercoaster. It looks more than awesome! 16. Would you believe that this was someone’s trash? Someone took a photo of their neighbors’ trash after they had a party. 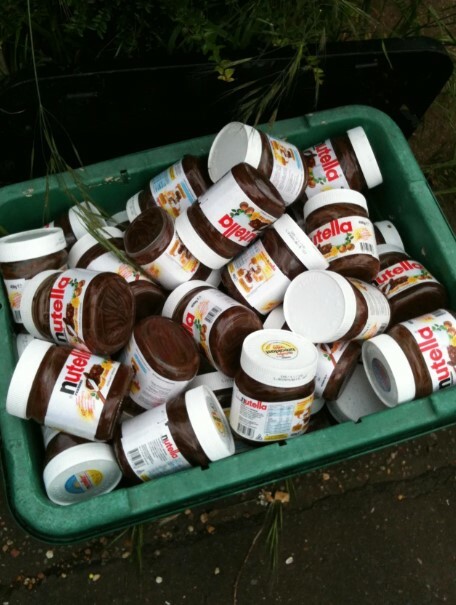 After there was a party next door, you would expect to find a lot of empty bottles and cans of alcohol, but more than twenty Nutella jars are the most unusual sight to see in the recycling bin! We guess that it must have been a really wild party. Maybe the details about it would be too spicy to share. You have probably heard that a lot of restaurants like to brag about their famous visitors. Some of these places have different ways to pay tribute to those people, but this restaurant in Vietnam took things to another level. 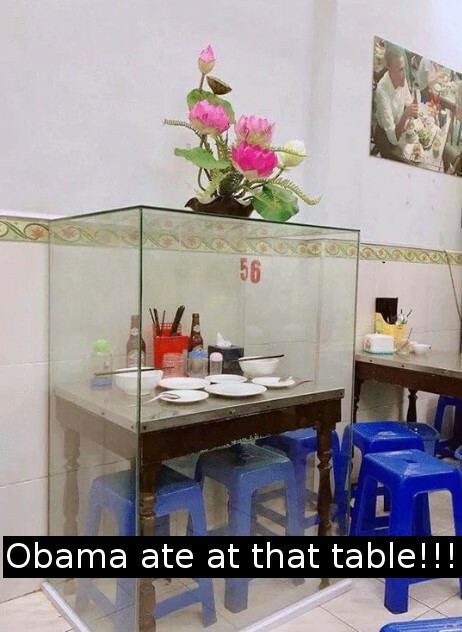 After President Obama and Anthony Bourdain sat at this table during filming of the Parts Unknown series, the management of the restaurant sealed the table and everything on it with a glass case. It looks just a bit creepy, but we still like it!